Properties in Destin average 4.5 out of 5 stars. Property 52: Guests are sure to enjoy a memorable vacation in this cozy furnished condo! ☀Palms Resort 2907 Jr 2BR/2BA☀Lagoon Pool-Fitness Center-Apr 29 to May 1 $576! Property 60: ☀Palms Resort 2907 Jr 2BR/2BA☀Lagoon Pool-Fitness Center-Apr 29 to May 1 $576! Property 63: Right on the beach w/ direct gulf views! Renovated! 50" Smart TV! Week discount! Beautiful lakefront views! 5 min walk to the beach! Property 64: Beautiful lakefront views! 5 min walk to the beach! Palms Resort 11207 Jr 2BR/2BA ☀OPEN Apr 27 to 29 $577!☀TopFloor Views+FunPass! Property 65: Palms Resort 11207 Jr 2BR/2BA ☀OPEN Apr 27 to 29 $577!☀TopFloor Views+FunPass! Property 67: Harbor sunset views! Canal front condo. Location and Amenities. Now Booking 2019! 14th Floor Gulf Front Condo with AMAZING Views! Property 74: Now Booking 2019! 14th Floor Gulf Front Condo with AMAZING Views! Condo #4101 Is Beautifully Remodeled and Overlooks the Canal! Property 75: Condo #4101 Is Beautifully Remodeled and Overlooks the Canal! Property 76: Affordable VRBO Destin Favorite Has Everything! NICE! Very close to beach! Property 78: BEACHFRONT CONDO (14TH FLOOR) AND COMPLETELY RENOVATED FOR YOUR STAY!!! Amazing 2 bedroom condo on the beach with beach service and full of amenities! Property 80: Amazing 2 bedroom condo on the beach with beach service and full of amenities! Property 81: Panoramic View-No Upstair Neighbor-Pristine End Unit-Steps To Beach-King Bed!!! Property 84: Beautiful Gulf Front Condo in Privately Gated Beachfront Community!! Only steps from beach! Property 90: Great Summer 2019 rates!! Beach Front and Beautiful, Book Today. ON THE BEACH - Completely renovated! Property 92: ON THE BEACH - Completely renovated! Heart of Destin- Budget Friendly! Bright, cozy 1/1 condo w/balcony on the lake. 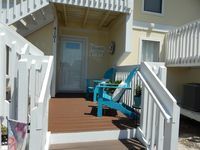 Property 93: Heart of Destin- Budget Friendly! Bright, cozy 1/1 condo w/balcony on the lake. TOP FLOOR, RIGHT ON THE BEACH! Property 96: TOP FLOOR, RIGHT ON THE BEACH! ☀Palms Resort 1307 Jr 2BR/2BA☀Lagoon Pool! -Tennis & Gym- Apr 29 to May 1 $576! Property 97: ☀Palms Resort 1307 Jr 2BR/2BA☀Lagoon Pool! -Tennis & Gym- Apr 29 to May 1 $576! Lovely Gulf Front Condo Overlooking the Beach ~ Private Balcony and Close to Downtown Destin! 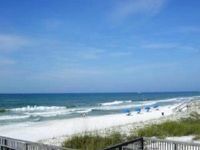 Property 98: Lovely Gulf Front Condo Overlooking the Beach ~ Private Balcony and Close to Downtown Destin! Property 100: Just the place for you! Rating Details: The property manager was very helpful. The vacation rental was spotless. I was very happy with the location. I was very satisfied with the condition of the vacation rental. Overall, I recommend this vacation rental. Reviewer Comments: Our unit was very well decorated and clean. It looked like a model unit.